The daily routines of creative geniuses. YA author Megan McCafferty is giving fans and readers the chance to ask authors anything through a new monthly series hosted by Google Hangout. Youtube adaptation of one of my favorite scenes from FANGIRL. 44 gifs of Theo James playing Four. Three golden rules for revising your novel. Find out which famous author you write like. I got Kurt Vonnegut! Recommended reads for surviving adulthood. A book list for Sexual Assault Awareness Month. Several ways you can win a signed copy of TIDES, by Besty Cornwell. Who knew making your own naan was so easy? 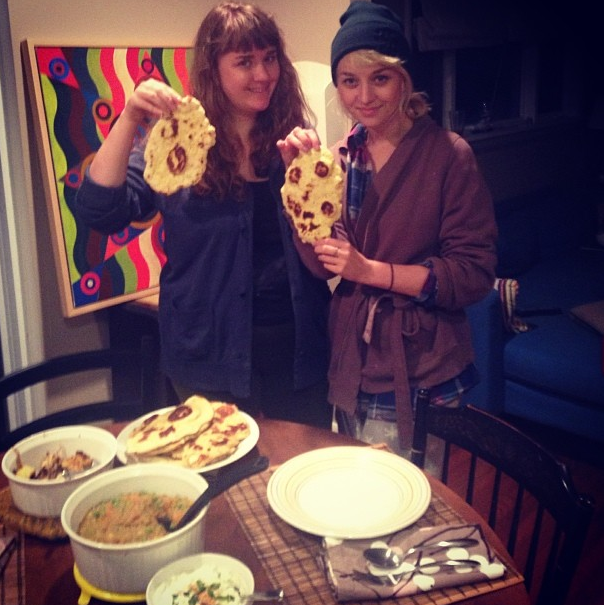 My sister and I made Indian food for dinner last night and had so much fun with this recipe. This entry was posted in Links for a Lazy Sunday and tagged books, Writing by Alison Doherty. Bookmark the permalink.